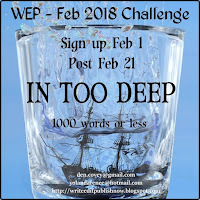 Denise Covey: WEP entry - In Too Deep - a #flashfiction of #floods in #outbackAustralia. 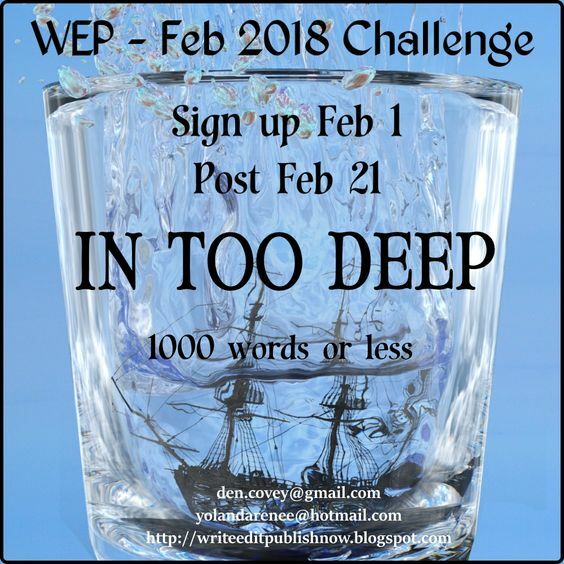 WEP entry - In Too Deep - a #flashfiction of #floods in #outbackAustralia. 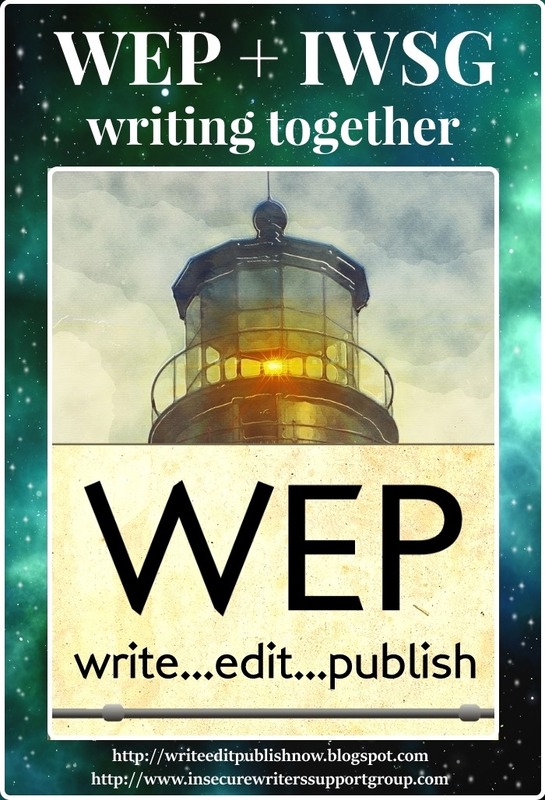 It's time for the Write...Edit...Publish (WEP) February challenge. In Too Deep is a prompt for any situation with the potential forunforeseen conflict. Or it could be literal – a flood, a hurricane, a mining disaster, you name it. 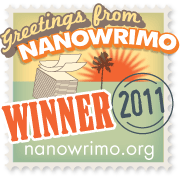 As always, the badge depicts how wide open the subject is. There are a million possible takes. Sunny’s heart pounded in time to the steady drumbeat on the roof. Rain didn’t usually scare her, but tonight the sound unnerved her... just a little. The whispers of wet leaves blowing on the wind had became a roaring as the galvanized roof took a pummeling. If she allowed herself to turn fanciful, she could imagine a jack-booted army running across the corrugated iron. Enough of that. She must think about Matt. She wished she’d not been so abrupt when he’d rung earlier and shouted down the phone at her. "Don't be silly! I’ve lived in the country all my life. You’re just a city slicker, and a British one at that." What would he know? "Just leave, I beg you!" Best not to answer that. “Don’t waste your time, darling. Josh’s already been. He was very persuasive, but I told him I was staying. I’m a big girl.” She certainly was that. Matt continued his cautionary tale, but she hadn’t listened. After hanging up, she nodded off at the kitchen table, lulled by the wind and rain. Hours had passed by the time she jerked awake. She struggled to her feet and walked to the window. OhMyGod! The river had broken its banks. Her house was surrounded with murky, swirling, murderous-looking water. She jumped back in fright. A log shot into the air, narrowly missing her window. The enemy was at the door. What could she do? Sunny pottered around the kitchen fixing a snack, singing on top of her voice – singing away the water – anything to keep her mind off the now raging beast which was coming for her. She stayed away from the windows. They might shatter. No one to stitch up a cut for kilometers. In the gathering gloom, she could just make out palm trees straining, fronds bashing the sodden grass in long wet trails. She sat back down at the kitchen table, rubbed her stomach, singing softly, praying for the water to go down. Or the rain to stop. She shivered in the icy coolness. She pulled her parka over her jeans, leaving it unzipped. Uneaten snack pushed aside, she huddled in her chair, alert to the river sounds. Crack! A eucalyptus tree speared her kitchen window – shattered shards of skittering glass pinged onto the tiles, narrowly missing her legs. Rain poured in through the jagged hole. “Help me God.” She clutched her stomach, cradling its mound, waiting for something to happen. The phone... again...loud, shrill, insistent. The phone dropped from her freezing fingers. Water crashed through the kitchen door and sucked and swirled around her sopping feet. She was tough. But she was in too deep this time. She lived in outback Australia. She’d overcome adversity many times – bushfires, drought... and now... unusually, floods. A once-in-one-hundred-years event. But she’d survive this. She had to – for Matt and their baby. She set up the ladder. 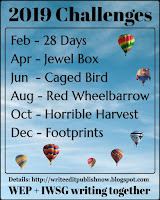 She had a foot on the bottom rung when the first pain struck. 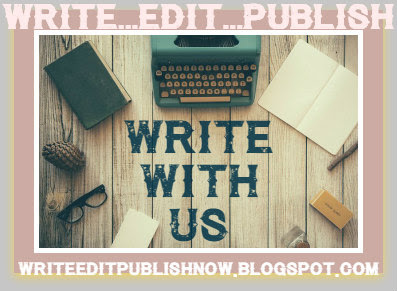 If you have an extract from a WIP, photos, a true story, or a flash fiction swirling in your head, please feel welcome to write for us! We're simply lovely! 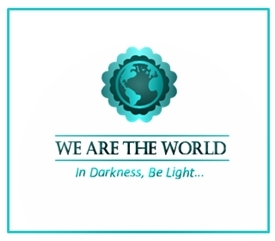 To read more WEP stories, click on names in my sidebar with a DL (Direct Link) after the name. Or go to the WEP website. These are already posted for your reading enjoyment. Thanks for coming by. I'd love a comment about my story. It's the way folks think, too often. "It can't happen here." Thank goodness for Josh. I'm going to be glass half full, she and the baby made it! I finished reading your story hoping that she made it up the ladder and on top of the roof. An engaging tale of a woman who refused to listen because she thought she knew better. I hope she does too Pat. I'm glad you liked it. Hi Denise - yes ... I guess some people wait too long - the floods and storms are being so destructive. Sounds like Josh would be struggling to reach her and then the baby ... she was lucky to have friends like Josh with her hubby so far away. The climate has definitely changed, which I guess is my main point. Can't trust the past any more. Gotta love those glass half empty people who really should realize the thing is about to explode and get out of there haha but then sometimes it is all for naught. Hopefully she made it up the ladder and her water didn't break to add to the rising water as she felt that pain. LOL Pat. Trust you. I'm hoping she got away too, but who knows? Oops! That was an unexpected twist at the end! Ha, I enjoyed writing that twist! And Jen thanks you for your response to her poems. It means a lot to her! She and I were both hoping to "see" you again. We've missed you. I so love Jen's poems. Have missed you both too. Another 100 years before the next baby is born on the roof. Wow, you really hooked me. I was mesmerized with your piece of flash fiction. I was taken back to Katrina and hoping and praying that she wouldn’t be as stubborn as I am, but I got that part wrong. Women usually are too strong willed for their own good. You did an amazing job writing this. It’s full of raw emotion and vivid imagery. I felt like I was there ... or reliving a traumatic event from my past. Then you took it one step further, kicked it into high gear with the suspenseful plot twist at the end. I didn’t see that coming. Excellent writing. You had me on the edge of my seat for the entire piece. Kuddos !!!!! Melissa I’m glad you liked it. A lovely generous comment. She was positive enough to survive. She will surely live to spread that optimism and love eternally. Sure she’ll survive. She’s tough. She’s an Aussie. Wow....Denise, your story was lovely all the way through to that brilliant ending. I love the way you slowly released important details without padding the story. It was a delight to read. Hope she made it! I did that deliberately so glad it worked for you. Quite an ending! This story was very believable.Denial is not a good thing when it comes to severe weather. Oh, god, you can't end the story there. I need to know what happened. I hope Josh would get to her in time. First birth usually lasts for hours. I’m not sure what happened. Will have to start writing and find out. This was great! So realistic. I've known my fair share of stubborn people who would end up in this situation. Your descriptions were so vivid I felt like I was actually there! I’m so glad LG. And she was stubborn alright. I've personally seen people bail out water from their homes/ shops during the floods in Mumbai. But it's never been as scary. I do hope Josh got to her in time. So do I. Thanks Bernadette. No one ever believes the worst can happen to them. I'm one to talk though; I stayed when my town was flooding. Yep. Heard about that. But in Outback Australia there’s nowhere to go. Ugh; I'm distracted while reading the entries. Nice flow, well edited, loved how you added tension to the impending storm, flood, and just when I thought you forgot to mention the baby . .. The ending made me gasp, beyond brilliant! I hope she makes it out. Why do people take such risks? Pregnant women should be extra-careful instead of extra-adamant lol. Great flow, and grabbed me by the throat right from the beginning. Oh, I do hope Sunny and the baby are OK. Great story. The story possess a great since of flow, that seems to accelerate as the storm gets more powerful. I'm glad you sensed that Christopher. "The enemy was at the door." Has to be my favorite line in the story. This story drew me right in, and I quickly found myself in "too deep" to stop reading! I practically held my breath at the end, and...to leave it up to my imagination is NOT a good thing! ;) Well done! Ha, that was mean, but I really don't know if she drowns or not silly girl. Oh my goodness. I'm so mad at Sunny right now. It's okay to be stubborn when it's just you, but with a baby on the way...? Thank goodness for Josh. What a suspenseful story. I really hope they all made it to safety. That last line cinches it, the woman is not tough, she's got preggers brain. That's what my hubs called it, when women don't make good decisions. Will Josh be in time or will he be too late? IF he's in London and she's where there's eucalyptus trees, that seems impossible. Did I miss something? I loved the story, but some people force their own fate. A rising, raging river is powerful . . . this is definitely in too deep! Yep, Sunny by name and Sunny by nature. Can be a lethal combo. What a well crafted and fascinating story. I loved the way the facts unfolded so skilfully while building up the tension of the impending crisis that the reader knows is coming but the protagonist doesn't. I couldn't stop reading and it was only after I'd read the entire thing did I pause to think about the writer's craft. That says a lot, doesn't it? As for what happened in the end - she made it, of course - but who needs the added tension of labour when you're being rescued by helicopter or whatever vehicle Josh was planning on using. Thanks Keith. No, not always...and guess what, it's flooding where I live on Queensland's Sunshine Coast. That was intense! Reading her reaction to the oncoming storm makes me think about how stubborn people can be about leaving their homes when survival is on the line. Then I wonder if I would have the same stubborn, glass half-full tendency in a similar situation. This story is quite thought-provoking. Thanks Elizabeth! You're so right. Most exciting. Sure hope she and that baby make it. I was about to climb that ladder right behind her. Wow! Really good and so realistic. (Or maybe it is to me, since this is nearly the same as what my co-worker's sister went through in Puerto Rico, baby and all.) Excellent story. Thanks J Lenni! Yes how often does fiction reflect real life? Surprise alright! Thanks for coming by and your comments on my story. Hope you make the next one then! Road Less Traveled. It should bring forth some interesting posts, Michael! Great job, Denise. The slow reveal of the true nature of the situation and, of course, the cliffhanger! Just thought the dreaded cliffhanger worked here, Lee! I got chills. You really showed the danger and fear that comes with floods. "The enemy was at the door. What could she do?" This part really struck me, as someone who has experienced and written about disasters. And oh that cliffhanger. So good. Thanks Chrys. Glad you, the disaster queen, liked it. 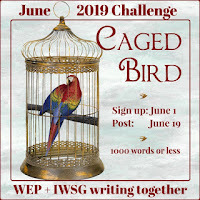 #IWSG post - Why I write what I write.